We have several traditions during the Christmas holiday season that help bring us together as a family. My favorite tradition is choosing our "kid' tree and decorating it with kid-made ornaments each year! This tradition started when my son was a toddler and we are looking forward to introducing it to my toddler daughter this year! 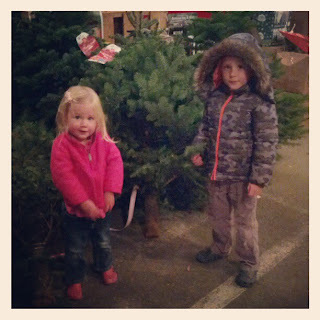 We went shopping for our kid tree last Saturday and it has been adorable to see how excited the kids are about decorating it. 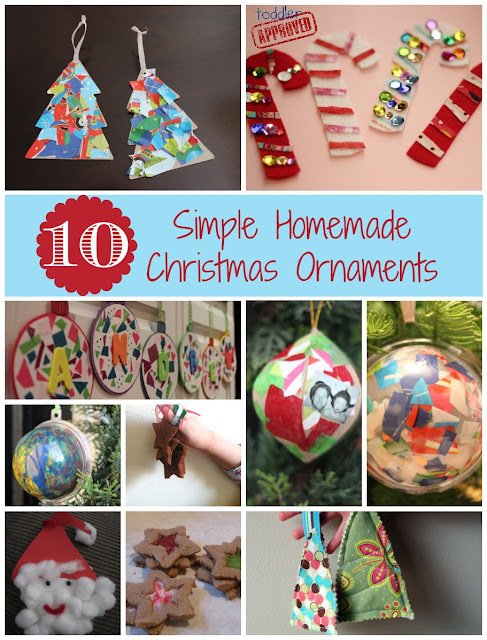 Today I am excited to share 10 simple homemade Christmas ornaments with you... and then I'll be sharing even more over the next several weeks! Just click on the links below to learn how to make each ornament. Some of these weren't originally ornaments, but can be easily turned into one with a little hook or loop of string. What is your favorite family tradition during the holidays? If you make homemade ornaments, share any blog posts or links below or on our Facebook page!! I love the first one. I am totally going to make that one with my Joy School Kids.